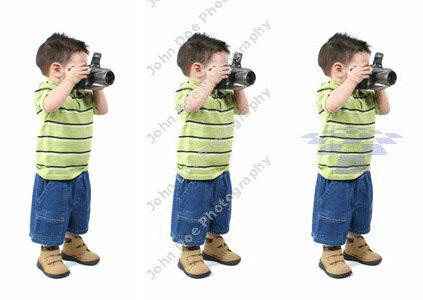 Are you a professional photographer or sell stock photographs on the Internet? Photography is what you do for living or may be just for fun, but you sure don't want people to steal your work. Internet is a great medium to put your work in front of the world but unfortunately it also makes it very easy for people to copy your work and use it. People are always looking for free photos to use in their designs and websites. It is very easy to search on Google or Yahoo and find your photographs. Anybody who comes across some photographs that you might have published as a sample of your work can simply save them on their computer and use without your consent. How can you prevent them? You might think that you will display only low resolution photographs and users will pay for the high resolution copy. But that does not serve the purpose, because people don't mind low quality photographs if they are to use it on their website or in a maze of some design. People who need high quality work and who are honest will definitely pay, and will give you credit for your hard work, but we are talking about people who simply want free lunch! How can you prevent such thieves? First is the original image and next one is the same image marked with uMark. There is no difference in quality. People can still see your work and can still copy but it will serve no purpose because of the watermarks added with the help of uMark. See some more samples here. With uMark you can add copyright notice, your name, company name and any other text. uMark also lets you add multi line text. You can add your company logo as well as tile it to cover entire image. The watermark can not be removed easily without spending hours painstakingly editing it. If you want to make sure you get credited for your hard work then uMark is something you must possess.